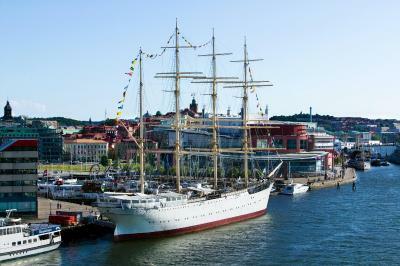 Ship is located centrally to main Gothenburg shopping and attractions. 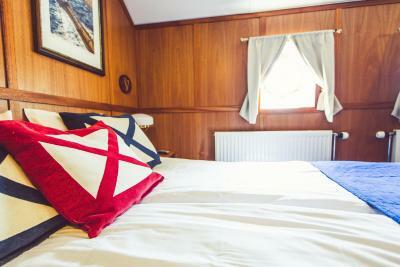 Charming characterful place, ship hotel well positioned in city centre. Late check-in procedure very good, Not every day kind of hotel. Worth visiting. 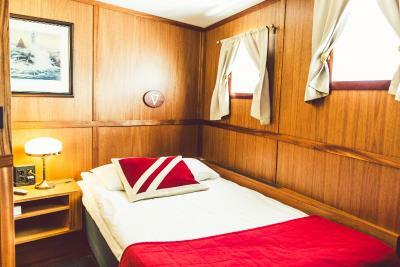 Plenty of room for a solo traveller and excellent location, only a few minutes walk to the local shopping centre and to the main street of the city and the central train station. 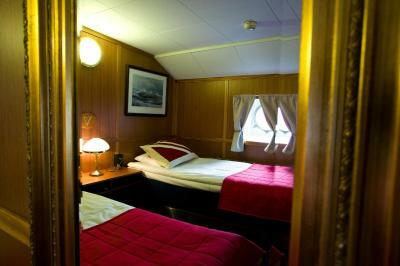 Such a thrilling feeling staying in a Viking boat For 2 nights. Excellent location. Great bar. They let you check walk anywhere on the boat, enhancing the Viking “feel”. Loved it! This is a fun place to stay. 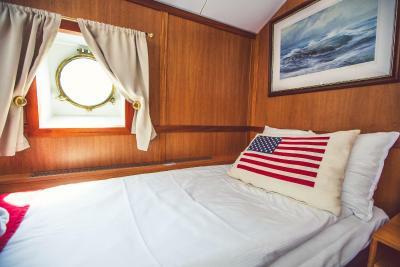 The room was small but is is a schooner so that can be expected. The included breakfast was very good. 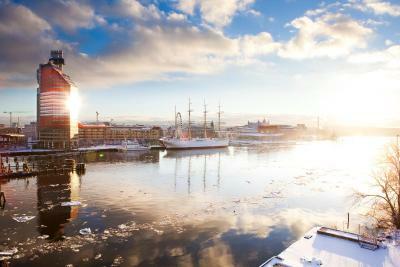 Great location and unique stay right in Gothenburg on a piece of the city’s history! 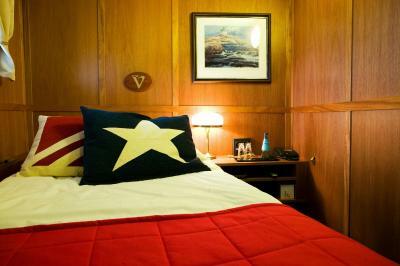 The novelty of being on ship's cabin was thrilling and have drinks on deck below the masts as sunset occurred over the harbor. The public room decor was excellent. 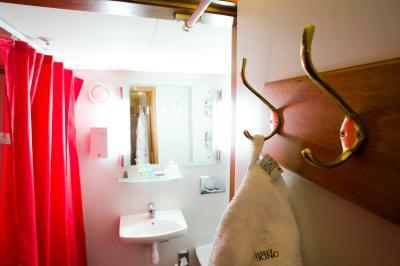 The cabin was small, but efficient. 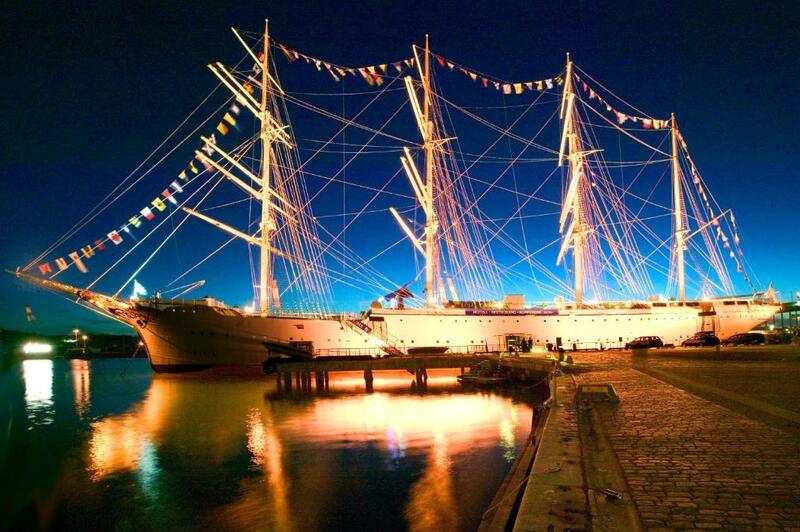 The venue and location is great. Rooms are good. Good breakfast. Staff was really nice and smiley. The location is good and the hotel really quiet. It was pittoresque and comfy at the same time. 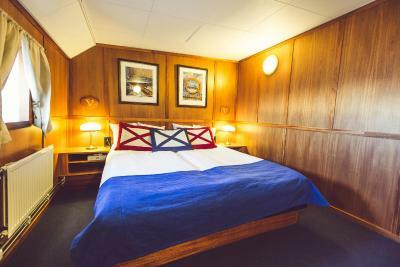 Hotel Barken Viking This rating is a reflection of how the property compares to the industry standard when it comes to price, facilities and services available. It's based on a self-evaluation by the property. Use this rating to help choose your stay! 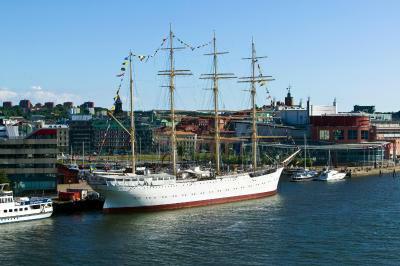 This charming hotel is on a restored 1907 windjammer (large sailing ship) on Gothenburg’s Gullbergskajen Quay. 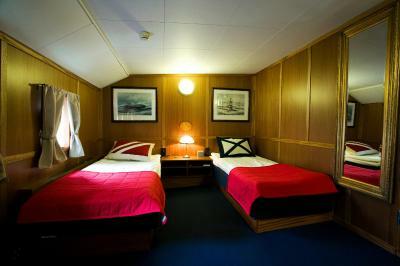 It features great views of the waterfront, free Wi-Fi access in public areas and spacious maritime-themed rooms. 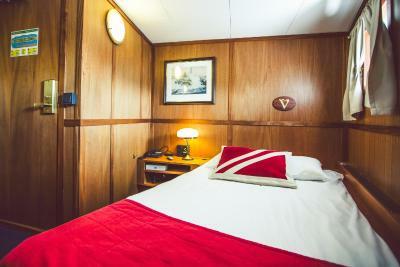 The bright rooms at Hotell Barken Viking feature wood-paneled walls and original work by marine artist Franz Glatzl. 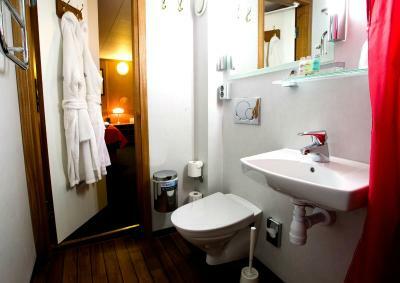 Flat-screen TVs and private bathrooms are standard in all rooms. 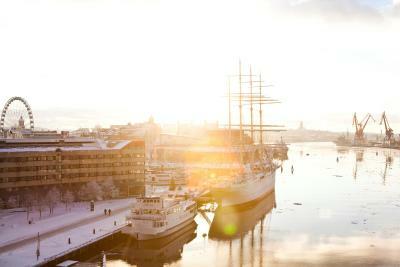 Barken Viking Hotell is within a 5-minute walk of Nordstan Shopping Center and Gothenburg Central Station. 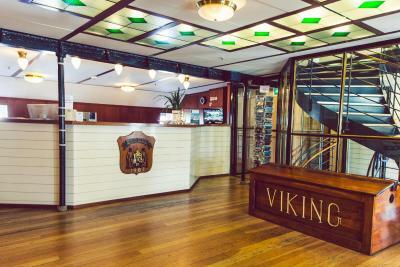 When would you like to stay at Hotel Barken Viking? 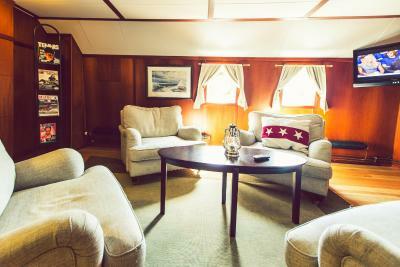 This room features a flat-screen TV, wood-paneled walls and maritime-themed décor. 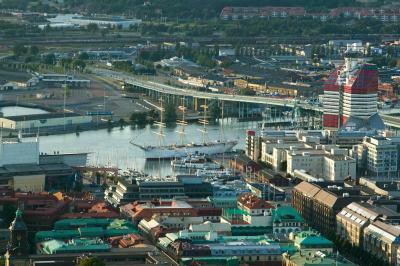 Public parking is available at a location nearby (reservation is not needed) and costs SEK 150 per day. 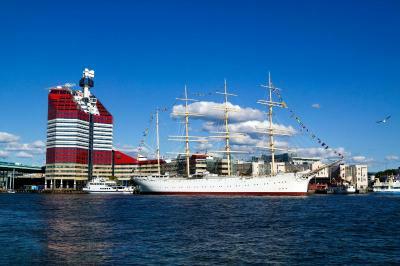 Barken Viking is a centrally located hotel in Gothenburg. 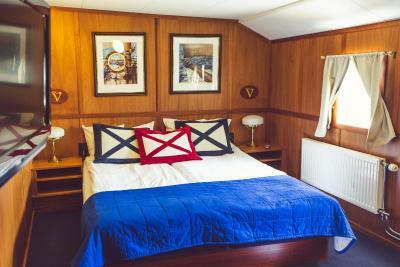 Rooms at Barken Viking is decorated in a nautical style. 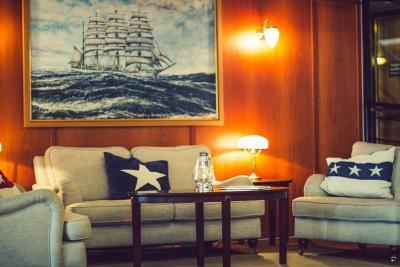 The walls are covered with beautiful carvings and paintings by the marine artist, Frantz Glatzl. 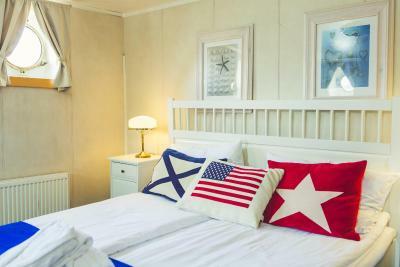 Easy to enjoy your stay with us! 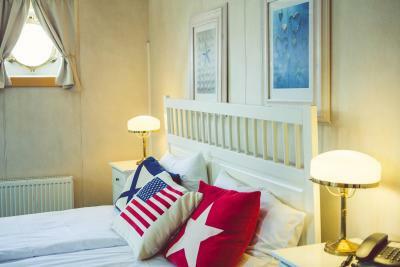 Staying at Barken Viking is equally good when you are on a visit in Gothenburg with the family, like when you're in town with the company or on a weekend trip with a friend. 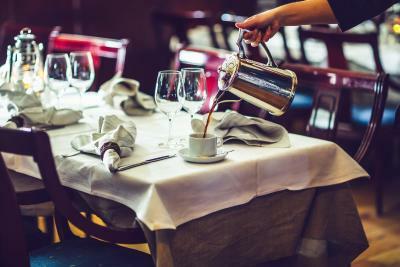 Area Info – This neighborhood is a great choice for travelers interested in food, shopping and restaurants – Check location Great location - show map Guests loved walking around the neighborhood! 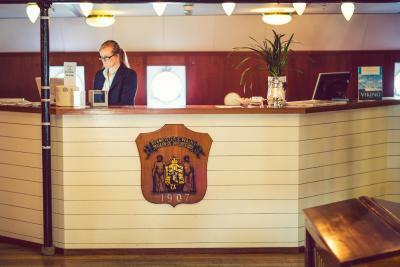 House Rules Hotel Barken Viking takes special requests – add in the next step! Hotel Barken Viking accepts these cards and reserves the right to temporarily hold an amount prior to arrival. Please note that this hotel does not accept cash payment. 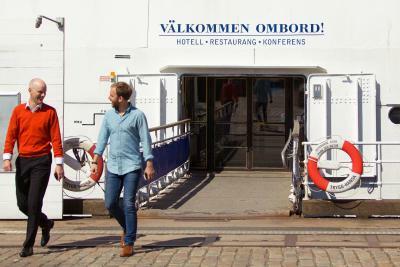 If you expect to arrive outside check-in hours, please inform Hotel Barken Viking in advance. 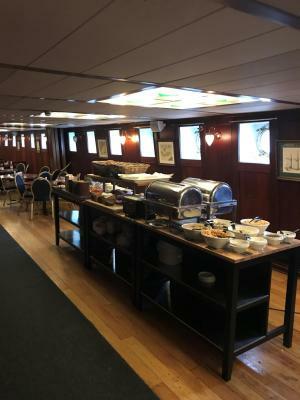 The room we stayed in seemed to have been under the restaurant/bar area of the ship so we heard every single noise from upstairs. Because of this we got to sleep extremely late and were woken up at 6am with furniture being moved and people talking above. This ruined the whole experience for us. Not worth the novelty. 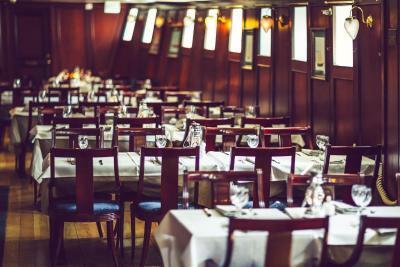 The boat hallways smell of mold. The staff is not energized or pleasant. 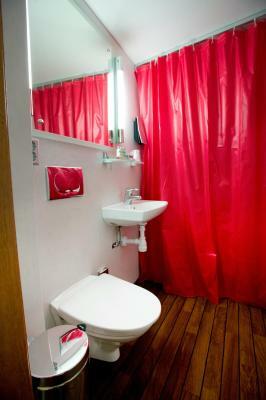 Rooms are basic, and bathroom had a lot of mildew and no hot water. American style breakfast and coffee were tasteless. WiFi useless. 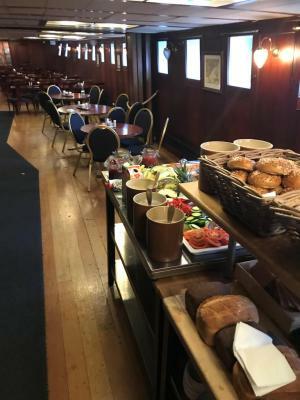 Excellent location on the river, close to Nordstan shopping centre and main bus/railway station, very good breakfast. 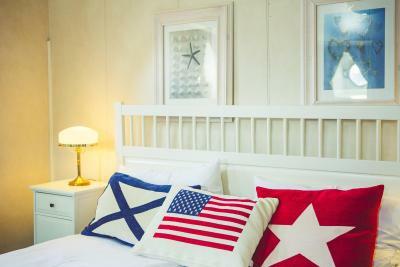 Good location, not so far from railway station and just a doorstep from Nordstan shopping mall. Breakfast on level as well. 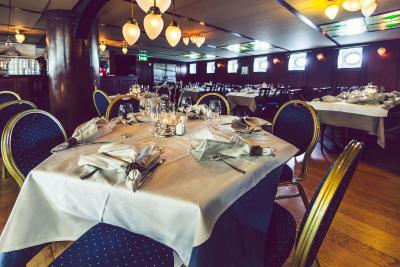 The reception has been closed and moved to the bar in the upper floor; thus ruining one of the nice sights of the ship, while leaving the front door unattended. 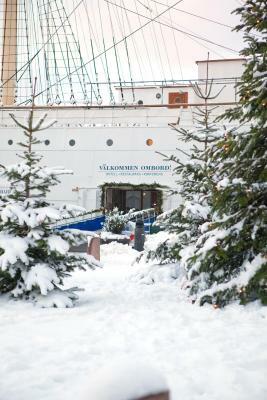 The main attraction of the ship, the upper deck was closed; I guess due to low season. 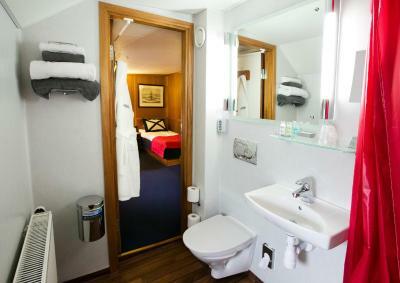 The room was good size but there are no usable plugs in the room and none at all in the bathroom. I stayed for two nights but during this time the room was not cleaned. No soap in the bathroom. Breakfast is varied but quality is not good. Reception is closed at 9 pm. Beware if you arrive after this time. After nine pm there is no body on sight. You can get free coffee and cookies at the bar. The ship is beautiful. No doubt. And it its within ten minutes walking from the central station. However, the hotel is hopeless. 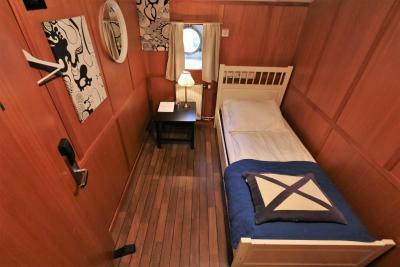 It is the second time I stay at Barken Viking and my opinion is no better. The ship has great potential but at this moment it is not realized. 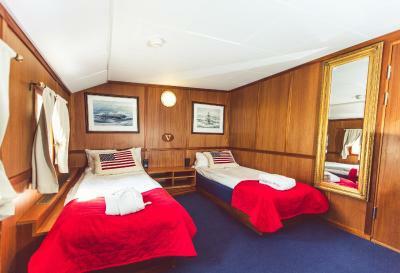 Certainly, you cannot expect to have in a historical ship the same kind of comfort you may have on shore. 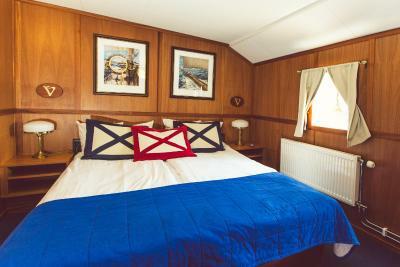 However, everything in Barken Viking is torn and old fashioned. It requires urgent renovation. 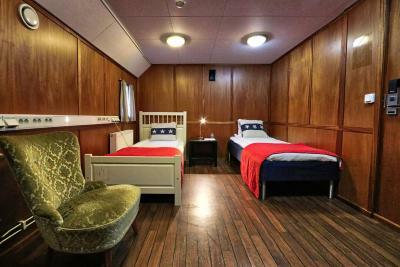 That said, if you want to enjoy a different experience in a historical ship, it is still a good option. The Price is also resonsable. 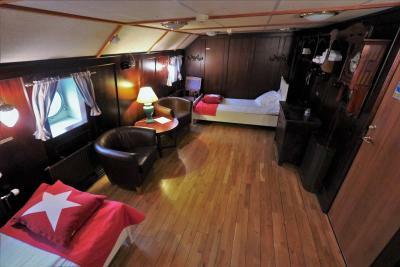 Breakfast was great, it is different staying on a boat but comfortable and central location - would definately stay again! My room was a little bit run down. Broken window. Broken curtain. Bathroom floor was very clean but a bit old. No problem. Very good breakfast. Great location. Room very clean. 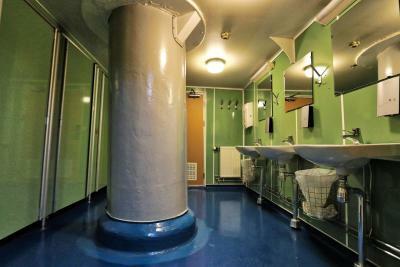 The receiving staff member was not particularly nice nor did he explain where my room was, as it took me a while to find it through the maze of floors and corridors of rooms. On top of that, there is no night staff, as It took just over 2h for a remote to staff (extremity friendly and understating young lady) over the phone to reactivate my card so I can get into my room. 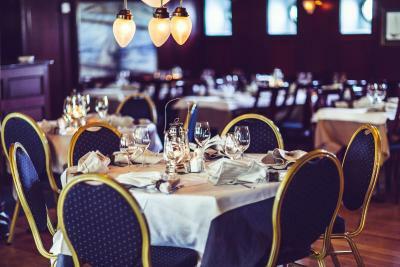 Overall, for an establishment such as this and the money you pay per room they appear understaffed, not polite nor helpful.. nice locations and concept, hospitality 0..
We would like to have a possibility for a diner on board. In some areas a little bit of renovating would be fine. A very interesting place and we slept very well. The breakfast was very good with a lot of local meals. Cosy bar and restaurant.